The Imperial Suite at the palatial Palazzo Versace Dubai was named the winner of the Best Product Launch Venue 2019 at the glittering Prestigious Star Awards Grand Ball, held on March 15 at One Whitehall Place, London. The hotel was also highly commended in the Best Gala Dinner Venue category. 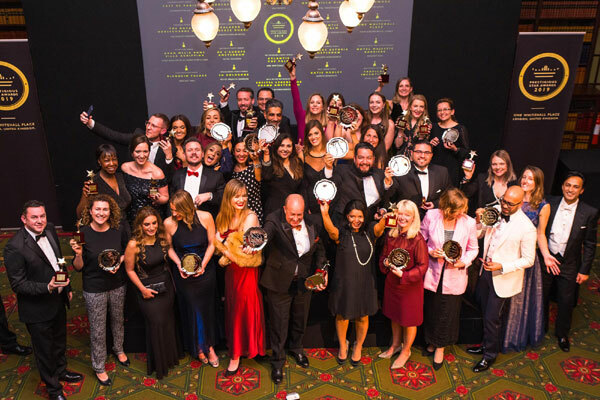 Now in its 10th year, the Prestigious Star Awards remains the only global luxury venue recognition programme across the industry to celebrate the best event venues and unique spaces across the globe. Over 2,000 global venues and suppliers are assessed and reviewed over the course of the year, with only one winner selected in each of the 24 event categories, judged on quality, performance and reputation. Described by the award panel as ‘majestic in form and function’, the Imperial Suite is located on the top floor of Palazzo Versace Dubai, spanning a total area of 1,200-sq-m and boasting 180-degree views of Dubai Creek. A true testimony to the Versace brand, the ultra-luxurious and fashionable suite is the perfect illustration of grandeur and opulence. Every detail in the spacious room takes inspiration from classic Italian designs created by hand with exquisite craftsmanship, from original screen printed silks to hand turned furniture. The signature rococo inspirations are evident throughout the impressive rooms and living areas, executed with contemporary Versace verve.